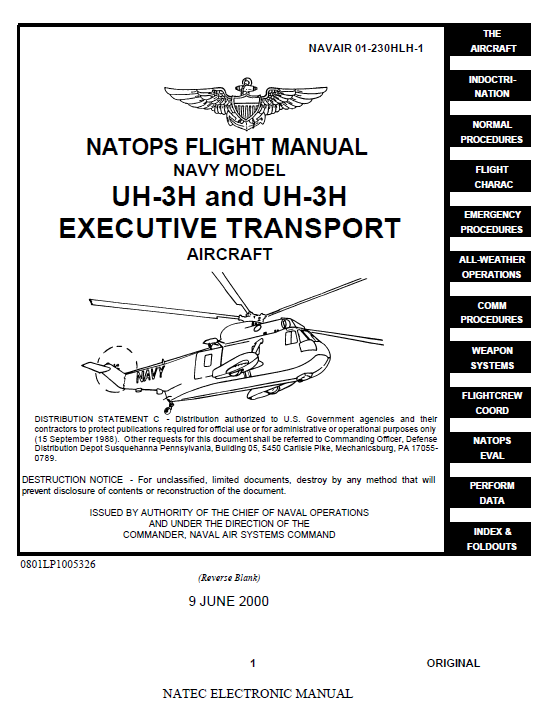 The model UH-3H helicopter is manufactured by Sikorsky Aircraft, Division of United Technologies, Stratford, Connecticut 06615. The helicopter is a Class 1B aircraft, designed for both shore and shipbased operations to provide logistic support and a search and rescue capability as required. The crew consists of a pilot, copilot, and two utility aircrewmen. 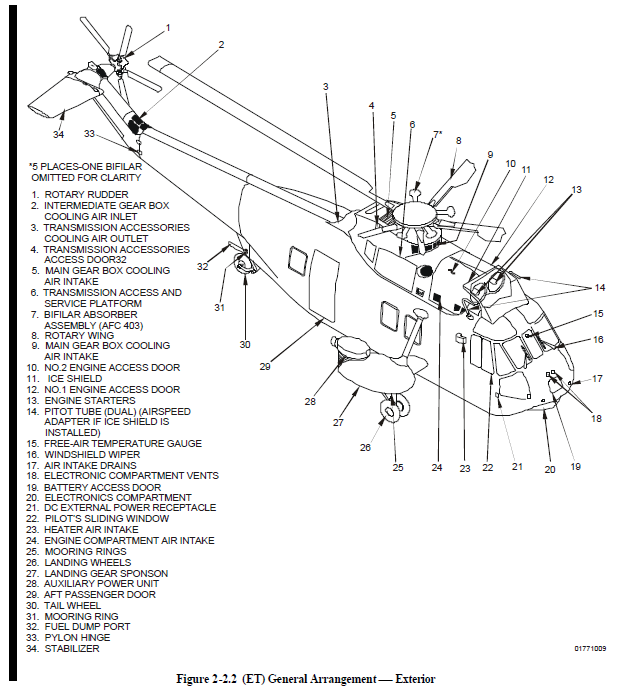 The UH-3H Executive Transport basic airframe is manufactured by Sikorsky Aircraft Corporation, a subsidiary of United Technologies Corporation, Stratford, CT., 06615. It is a Class 1B aircraft, designed for shore and ship based operations to provide executive transportation and logistic support. The crew consists of a pilot, copilot, and aircrew member. Configuration is a single rotary wing, twin turbine powered helicopter with emergency amphibious capabilities. The emergency amphibious landing gear is composed of a flying boat type hull and two outrigger sponsons, into which the dual main landing wheels can retract. A fixed tailwheel is on the aft end of the hull. The fuselage is all-metal, semimonocoque construction and consists of the forward fuselage section, the hull, the aft fuselage section, the tail cone section, and the pylon. The forward fuselage section and hull consist of the pilot compartment, engine compartment, transmission compartment, cabin, and fuel tanks. The electronics-radio compartment is in the forward portion of the hull. 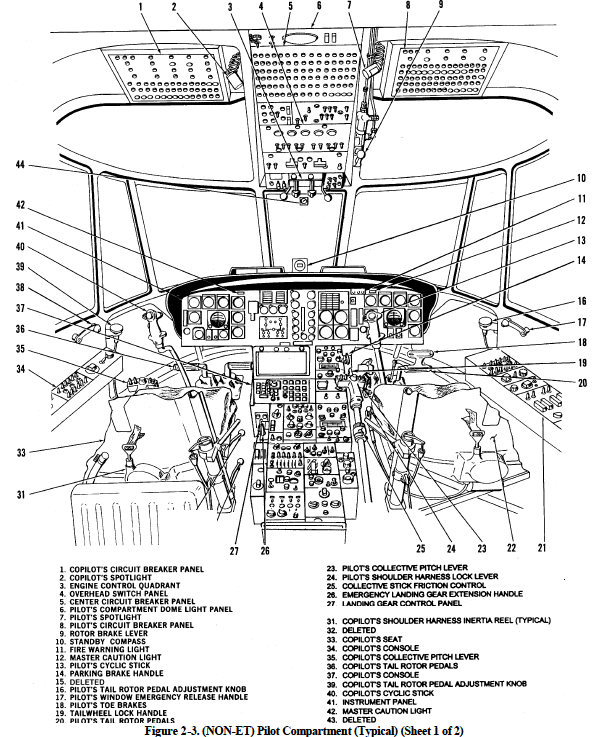 Above the electronics-radio compartment and forward of the cabin, is the pilot compartment that is entered from the cabin. The engine compartment is above the forward portion of the cabin. Both turbine engines are mounted side by side in the engine compartment with the engine shafts pointed aft into the main gearbox. Directly aft of the engine compartment is the transmission compartment, housing the main gearbox. The rotary wing assembly, to which the five rotary wing blades are attached, is splined to the main gearbox drive shaft. Shafting extends aft from the main gearbox lower housing to the intermediate and tail gearboxes to drive the tail rotor. 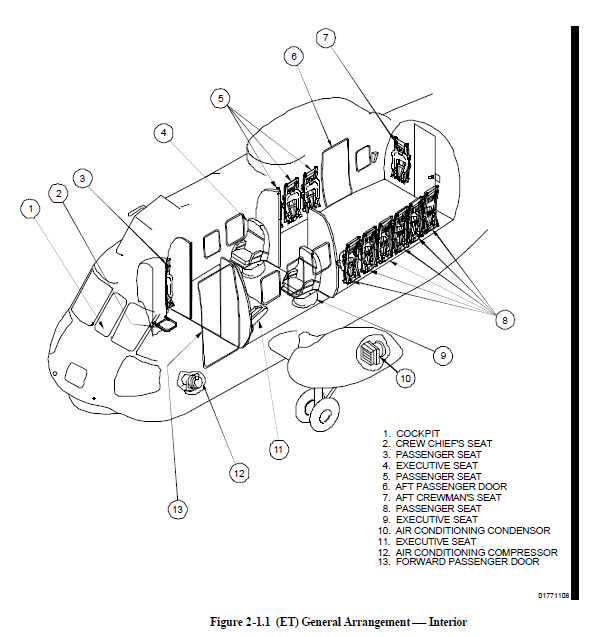 Directly below the engine and transmission compartments is the cabin.